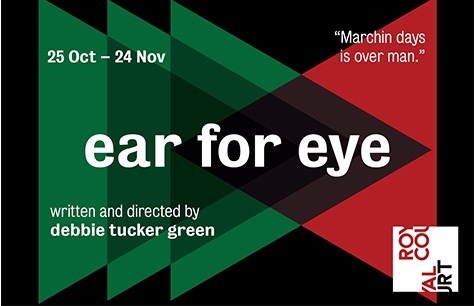 See debbie tucker green's new play for the Royal Court. Pretentious. Over written. Extremely repetitive. Badly directed and stiffly acted. I enjoyed performance all cast members drew you into the characters. Enjoyed Eric Kofi Abrefa immensely very powerful. Also loved Tosin Cole, Haydn Mclean and Shaniqua Okwok. A must see play. Learned so much on race separation laws which exsist both in US and UK had no idea. The writer captured how young black people feel both in UK & US being treated by police and society in general. Time 4 change but which way do we go? The choice violent non violent? Protest? Marching? Where do you stand on these issues. Thought provoking well written.